I love French patisserie, I love French food. OK, I admit, I love food, full stop....unless it is spaghetti. A few years ago, I was loaned a French cookbook by my lovely English friend Elaine. I found a fabulous recipe in it for Breton prune tart, which is now a fixture on our Christmas menu. I was delighted a few months after borrowing the book to find my own copy of it in a book fair, so now and again, when I'm feeling brave, I try a new recipe from it. I'll post photos tomorrow if it works! If not, I shall never mention it again!! 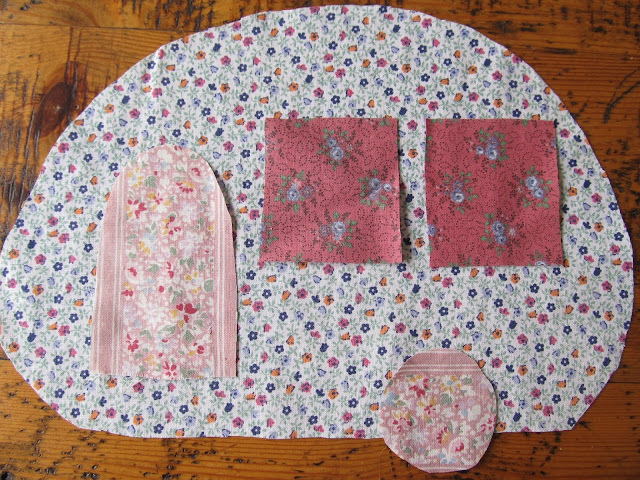 The other thing I have been itching to make is a caravan appliqué. I don't use cushions as a rule, so this may end up as part of a quilt, or something else. But I'm going to teach myself some basic embroidery to fill in the details. This is my fantasy caravan, something 1950s in style, with a place to make coffee and a table to sew or read and a few cushions so the cats can visit and snooze in the sunny windows. Oh my! 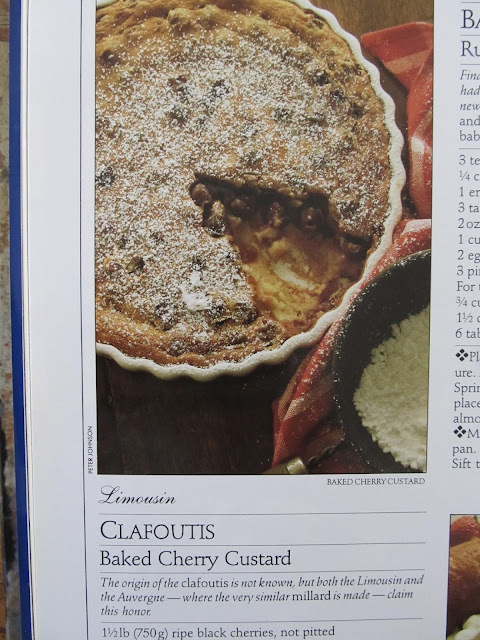 Just a few weeks ago we all went to pick sour cherries at a farm near Rochester NY by the Lake Ontario and my mom made clafoutis for us to have with a cup of tea. Fancy doing the same thing in the opposite end of the planet! That's a lovely thought. How lovely to be able to make them with fresh cherries. Mine came in a jar, from Hungary!! !